As of August 15, 2009 (through October 1, 2009), the Louisiana State Police will be stopping motorists and issuing warnings to violators to inform them of new changes to Louisiana highway safety laws. ACT 236 — Â Makes it a criminal offense for driving with a suspended driverâ€™s license due to a previous conviction for driving while intoxicated, vehicular manslaughter or vehicular negligent injuring. Â Under the new law, a violator can now be physically arrested for driving under suspension if the suspension is the result of a DWI , vehicular manslaughter or vehicular negligent injuring conviction. Violators could face a minimum of 15 days in jail, with a possible maximum sentence of six months. This law is currently being enforced. ACT 166 — Revises the current Seat Belt Law by requiring the driver and passengers seated in both the front and rear seats of vehicles to buckle-up. Violators are subject to fines of $25.00 for the first violation, $50.00 for a second violation, and $50.00 plus court cost for subsequent violations. The Louisiana Seat Belt Law is a primary offense law, meaning a law enforcement officer can stop and ticket a violator for that violation alone. ACT 190 — Requires that any person operating a motor vehicle on a multi lane roadway in Louisiana must travel in the right lane and shall not drive in the left lane. If the motorist must travel in the left lane, it shall not be at a speed less than that of a vehicle traveling in the right lane. This is with the exception of vehicles preparing for a left turn at an intersection or private road or driveway, when passing another vehicle traveling the same direction, when the right lanes are congested, or when directed otherwise by law enforcement. ACT 288 (Effective September 1, 2009) Â — This revision increases the driverâ€™s license suspension period for violators who refuse to submit to a chemical test when arrested for DWI. Under the revision, a person refusing to submit to a chemical test when arrested for DWI would now face a driverâ€™s license suspension period of one year for the first refusal and two years for a second refusal within a five year period. ACT 147 — Requires operators of a motor vehicle, when overtaking and passing a bicycle proceeding in the same direction on the roadway, shall leave a safe distance between the motor vehicle and the bicycle of not less than three feet and maintain that clearance until they safely past the bicycle. ACT 175 — Revises and strengthens the current vehicle window tint laws, which currently exempts those with certain medical conditions from being required to have legal window tint on their vehicles. Under the new law, applicants for the exemption will need to have their physician provide a sworn affidavit to law enforcement outlining the specific medical condition and their necessity for darker than legal window tint. Only certain medical conditions designated by the World Health Organization will be recognized as valid reasons for exemption. Troopers will be issuing warnings only for Acts 166, 147 and 190 through October 1, 2009. All other new legislation will be fully enforced on their effective dates. The joys of living in a small town. Â I sent the Frosty Cappuccino recipe to my friend Sarah Bell because I know she loves coffee and with 2 kids, well 3 counting Donnie, I’m sure she needs as much caffeine as she can get! 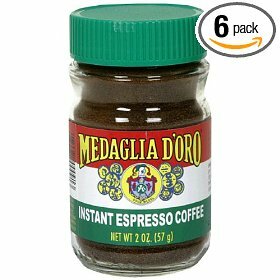 She e-mailed me back and said that she couldn’t find the Espresso Instant powder anywhere in town. Â I have no idea where Jennifer and I purchased it from, but we used the last bit of it on Monday night! Where else to look but the Wal-mart of the Internet (which calling it Wal-mart is almost an insult, it is so much better than Wal-mart). Of course I’m talking about Amazon. Sure enough, the not only have it, but have the exact brand that we’ve been using. Â I do have to buy a 6 pack of it but I will be drinking the Frosty Cappuccino’s for a while now! Jennifer and I love coffee drinks and while we’ll make a frozen mocha from scratch (making the espresso), here is a great recipe that I ran across about 2 weeks ago that we’ve made a lot.Â Below is the “Neal” version of it.Â I recommend sticking it in the freezer for about 10 to 15 minutes after it is put in the glasses to get good and cold. In blender, combine milk, chocolate syrup, espresso powder, and and blend until mixture is mixed. Add ice one or two cubes at a time.Â Blend until smooth and frothy. Pour into 4 chilled Irish Cream glasses. Optionally: Sprinkle with cinnamon for garnish.